In an effort to increase world peace and understanding among people of different nations and to improve the quality of life, our club provides financial support for all Rotary International programs, including Polio Plus, disaster relief, and safe drinking water/sanitation initiatives. Our club also works collaboratively with our twin clubs in the Dominican Republic and Mongolia to address the needs of the communities they serve. When we began our partnership with the Rotary Club in Santiago in 2000, one of the major needs was adequate medical and healthcare services. So our club took action. We raised funds and provided volunteers to renovate the Barrio Lindo clinic serving a poor neighborhood of the city. We started with building flush toilets and a dental suite and eventually helped to build a new clinic. The club also supplied an ambulance to provide emergency services for a remote village. Our club is also addressing clean water and education needs to give families more economic stability. We have built a water-testing laboratory and are providing scholarships for vocational schools, which will ensure jobs and a brighter future for young people and their families. In February 2000 a four-member team from our club traveled to the Caribbean Island of Hispaniola in search of an opportunity to contribute to Rotary’s fourth avenue of service – international service. One member of the team spoke French, and I spoke Spanish. Our initial foray was to Cap-Haitien on the northern part of the island, having been attracted there by the work of Mike DeWine, who was then a United State Senator from Ohio, and by an Ohio State University project with a vocational high school. As we crossed over into Haiti from the Dominican Republic in Dajabon, we had the distinct impression that we were entering into a much less developed setting – traveling on dirt roads and the beach to get to Cap- Haitien. Fortunately our rented vehicle made it safely. While in Cap-Haitien, we stayed with the OSU extension educator who was working on the vocational high school project. We attended a local Rotary Club meeting, taking advantage of our team member’s knowledge of the French language. We came away from this meeting somewhat disillusioned, however, since this club’s sole focus seemed to be on financial resources for its favorite projects. From there we traveled to Santiago de los Caballeros, the second largest city in the Dominican Republic. Located in the Cibao Valley – the Dominican bread basket – we visited the “Instituto Superior de Agricultura,” the major agricultural university in the nation. We also met with one of the local Rotary clubs through Cesar Cruz, a professor at the Instituto and a long-term Ohio State University associate. There we learned about the club’s ongoing attempts to provide health services to a poor neighborhood of Santiago – the Barrio Lindo. We visited its health clinic, which was located in a small rented house in the “barrio.” We also attended an evening meeting of the Rotary club and found its members to be very cordial, socially committed and dedicated to the well-being of the Santiago region. This trip resulted in our ongoing relationship with our twin club in Santiago, built upon a mutual trust, respect and commitment. Today our meaningful collaboration provides significant primary health care to over 10,000 residents of Barrio Lindo and its surrounding area and scholarships for its youth to undertake vocational training in high demand in the Santiago region. In 2017 our club began its partnership with our twin club in Narlag Ulaanbaatar, Mongolia. Promoting literacy was our first priority, and during the first year of our partnership, we gathered 1,000 early-reader books, which were distributed to approximately 800 children in under-served squatter towns. 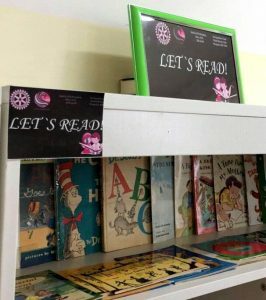 With the support of District 6690 leaders in 2018, the club’s “Let’s Read” initiative turned into a statewide effort. Rotary clubs generated an estimated 40,000 books, which were shipped or hand-delivered to our club for processing, a massive undertaking. 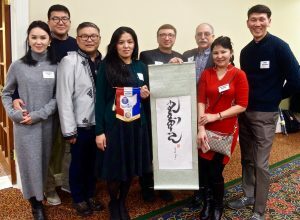 The Worthington Libraries and the Friends Foundation of Worthington Libraries, which were among the original supporters of the Mongolian project in 2017, increased their support, providing not only books, but also warehousing space and technical support. Club members, their spouses and friends rallied to sort the books to ensure age-appropriateness and repackage them for shipment to Mongolia in late summer. 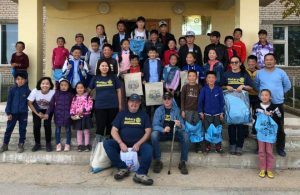 In September immediate past president Tim Shear, who spearheaded the project, and Board Member Chuck Gibson arrived in Ulaanbaatar to assist twin club members in distributing the books to needy children in urban and rural communities across Mongolia. During their two-week visit they traveled 2,400 miles by van in seven days. Their trip took them to mountainous regions and desert areas. In the end, approximately 10,000 books made their way into the hands of children and gave a boost to literacy efforts in the country. Whether in their local communities or around the world, Rotarians make a difference in the lives of others. Our club works with District 6690 leaders and other clubs to host visiting delegations and prepare young adults from our area to travel abroad. The program is open to those between the ages of 20 and 45 who are in the early stages of their careers. It provides travel grants for a team made up of a Rotarian leader and up to four Rotarian or non-Rotarian members to exchange visits in paired areas of different countries. For three weeks, team members experience the host country’s culture and institutions, observe how their vocations are practiced abroad, experience service programs, develop personal and professional relationships and exchange ideas. 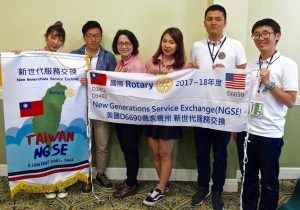 In the summer of 2018 our club partnered with the Dublin AM Rotary Club to host a delegation from Taiwan for part of their visit to central and southeastern Ohio. The group included a school director, marketing representative, manicurist, department store supervisor, international trader and web-site developer. They made presentations about their country to both clubs, met with public officials and business leaders, got a taste of campus life at Ohio State University and spent time with their host families from both clubs. After they returned home, a five-member team from our area made a reciprocal 21-day visit to central Taiwan. program opportunity and how to apply. More than $100,000 in services and capital improvements in collaboration with our Twin Club. Construction of the Barrio Lindo medical and dental clinic serving 4,000 individuals annually from a community of 10,000 families. 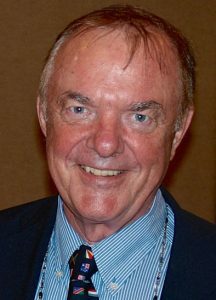 Five Rotary Foundation Grants awarded. 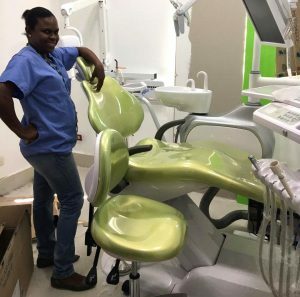 The most recent in 2018 was in the amount of $35,000 for the replacement and upgrading of dental and medical equipment for the Barrio Lindo medical and dental clinic. Purchase of equipment to establish a water testing laboratory in collaboration with other Rotary districts in the clean water/healthy families initiative. Sixteen, 4-year scholarships for a vocational education training in collaboration with the Association of Industrialists of the North Region (AIREN), a business development association. Agreement with AIREN and our Twin Club to raise $12,000 to fund one scholarship in perpetuity. Each scholarship costs $500/year/student. Moisés Marte grew up in a poor neighborhood, the Barrio Lindo, in Santo Domingo. He was a good student and highly motivated to improve the conditions of his family that faces economic hardships. His father recently committed suicide. 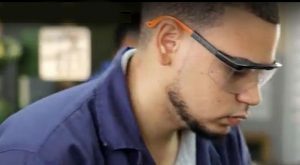 Because of our club’s scholarship program, Moisés is in his second year at the Instituto Politecnico Industrial de Santiago (IPISA) with plans to become a multi-skilled craftsman after graduating in four years. His goal is to have a good paying job so he can help support his family and create a better life for himself. In IPISA Moisés and other students are not only taught technical skills, but soft skills as well. They achieve the right academic level, and they are also instilled with values that are important in society and to employers, such as honesty, responsibility, discipline and a strong work ethic. One hundred percent of IPISA’s graduating seniors are either immediately employed, continue their education or both. We’re making a difference in the life of Moisés Marte and other economically-disadvantaged students. We’re giving them an opportunity to succeed in life. The unemployment rate in the Dominican Republic for youth able and seeking to work is 30 percent. All it takes to fund one youth for one year of a four-year program is $500. At the end of the program, each youth will have the skills employers indicate they need to fill vacant positions and to compete in the country’s economy. For each $12,000 raised, we can fund one scholarship per year in perpetuity. All funds will be received by the Dublin-Worthington Rotary Club Foundation and are tax deductible to the full extent of the law. Become a part of a life-changing event. 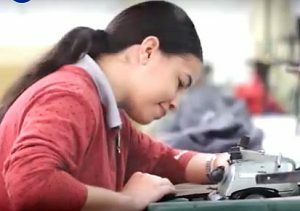 Help us assist youth in the Dominican Republic go from a life of assured unemployment and poverty to one of assured employment and self-support. Industrialists of the North Region (AIREN); and The Instituto Politecnico Industrial de Santiago (IPISA). Learn more. Then make a contribution to change a life.